one mat at a time. Welcome to K.W. REESE, Inc., a family-owned and-operated company founded in 1972. 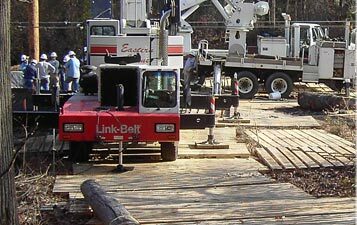 We provide temporary access systems using ground protection construction mats, manage vegetation for utilities and contractors, and construct and maintain railroad tracks. We pride ourselves on satisfying our customers, maintaining an outstanding safety record, and getting work done on schedule. Complete turn-key service , including preparation, installation, removal, and restoration. We use either low-cost hardwood mats or composite mats as required to build temporary roads and work platforms efficiently and cost-effectively, with minimal (and reversible) impact to the environment. 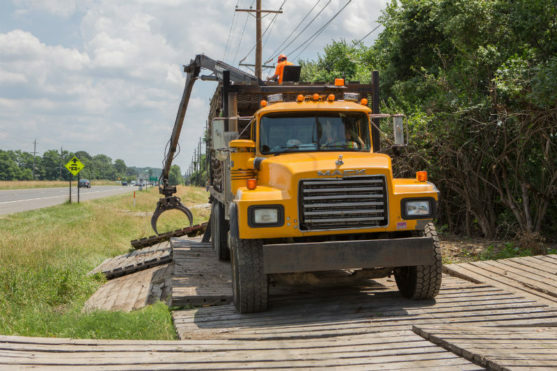 For over 25 years, KW Reese has performed new track construction as well as track maintenance, road crossing maintenance and track and tie removal. 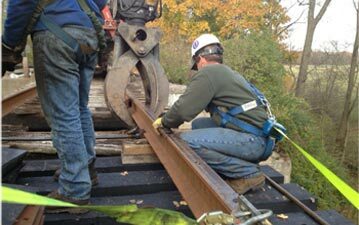 Our clients include railroads and industrial customers who use railroad sidings. 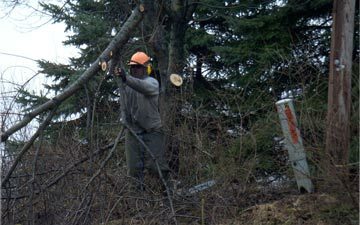 We clear rights-of-way by trimming trees, removing stumps, cutting brush, and applying herbicides where necessary. We do seeding, mulching, and erosion control, and we stand ready to provide emergency crews for urgent jobs. A combination of laminated oak mats and composite mats are being laid alongside local route 541 to protect both public and private property. Composites are used where greater protection is needed, such as across private lawns.